Snow leopards are no longer endangered thanks to the poachers who used to hunt them. Native to Central Asia, a snow leopard’s uniquely spotted white-grey coat allows them to blend in with the steep, snowy rocky mountains they inhabit. But for many years, snow leopards have been threatened by poachers who target the big cat for their skins and body parts. Between 20 to 53 snow leopards are poached every year in places like Mongolia, Pakistan, India, and Tajikistan. China is perhaps the worst offender, poaching as many as 236 snow leopards a year. Fewer than 7,000 snow leopards are estimated to live in the wild, which had them labeled as endangered. With their tracking skills and expert knowledge of snow leopard habits, the hunters turned out to be the perfect ally in preserving these animals. These efforts are taking place along the Altai-Sayan mountain region of Russia. With a financial incentive, the hunters keep track of these animals with motion-sensor camera traps and pawprint tracking. The images that they capture help scientists study the animal in their natural habitat. Since the project has started, the status of snow leopards has gone from ‘endangered’ to ‘vulnerable’ with the WWF. 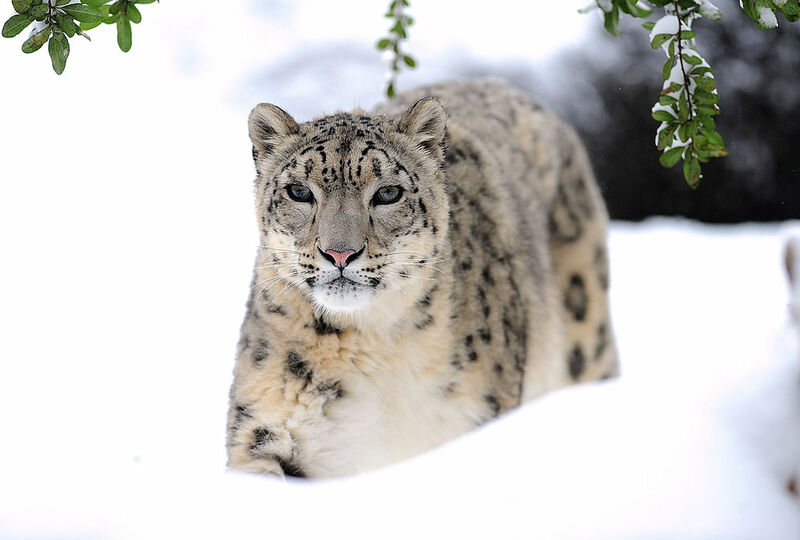 Even though snow leopard populations are now considered stable, they are still at risk. Not only do they fall victim to poaching, but their populations are also threatened due to habitat destruction. This happens in the form of both infrastructural developments and climate change, which could cause the loss of 30 percent of the snow leopard population in the Himalayas alone. At the very least, the WWF’s alliance with these selected poachers could lead to broader conservation efforts for the future. “We will nurture so many snow leopards, even my grandchildren will be able to see them. If this project hadn’t started, there would be no snow leopards left,” Markov says.